Navigating the complex world of social media can be tricky. There are so many different platforms where you can spend your time: Instagram, Facebook, Twitter, Pinterest, oh my! Rest assured that things are not as difficult as they might seem. Blogging and social media go hand in hand, and our social media strategy tips will help you find your way to discovering blog social media marketing, and why it’s important. 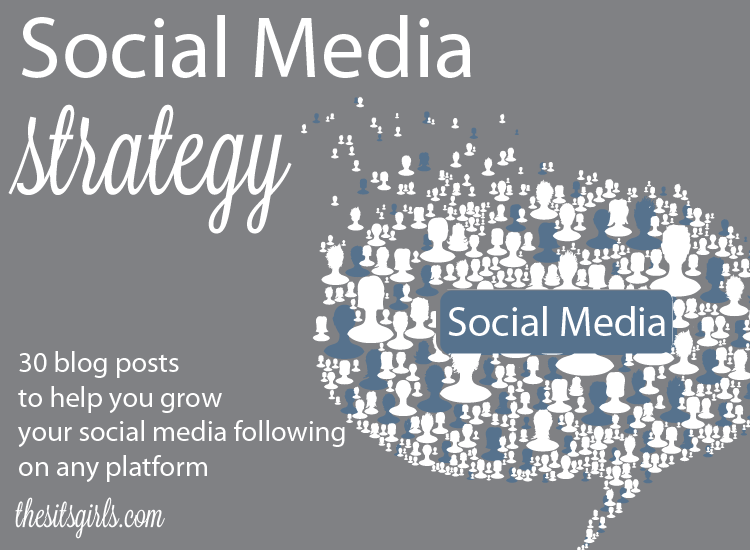 Social media for blogging will help your blog’s growth. Over the years, we’ve spent time focusing on the different social media platforms out there, covering best use practices and helping bloggers to understand how social media can be used to amplify the content they are writing. Social media marketing for bloggers is important! Once you find a social media platform (or two) that works for you, spend your time cultivating fans/followers and engaging. The trick is not to spread yourself too thin and be successful everywhere, but rather to focus your efforts. When you do, you’ll see the results in terms of page views and engagement on your blog. For example, Pinterest strategy for bloggers can be highly useful. We’ve been in love with Instagram since early in 2012 and haven’t looked back since. The beautiful pictures and stories shared in the moment make it one of our favorite ways to connect with our community. Admit it. Even your grandmother is on Facebook. It’s still a great way to engage with your audience and drive traffic to your blog. Bonus: brands often want to work with those who have a strong Facebook presence. Pinterest is a virtual pin board for images, where you categorize things that you love and want to remember by topic. While we don’t find ourselves chatting as much on Twitter as we used to, it is still a great way to make connections and share your content.